Are you researching different dog breeds trying to find the perfect one to fit your personality and lifestyle? Today we’re highlighting the cocker spaniel. If you think you may be interested in this breed, this is a great place to start! Even if you’ve never even considered a cocker spaniel before, you just might change your mind by the time you finish this article. Cocker spaniels may have been some of the first dogs to come over to America from England on the Mayflower in the 17th century. They were originally bred to hunt game birds. Today there are two breeds of cocker spaniels: English and American, recognized as separate breeds in 1946 by the American Kennel Club. 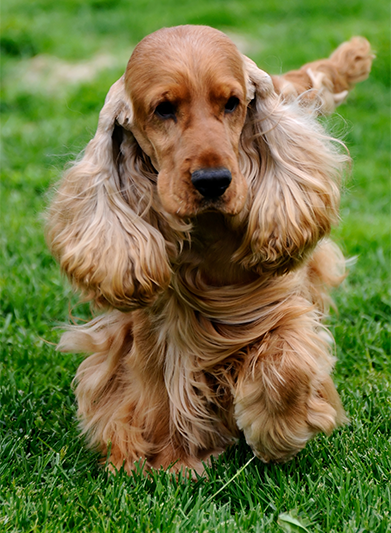 In the U.S., the American cocker spaniel is simply known as the cocker spaniel; the same concept applies to the English cocker spaniel in the UK. The American cocker spaniel is generally smaller than the English, but most other characteristics are very similar between the two. Cocker spaniels are known for their long, beautiful, silky hair. They typically have large, round, dark eyes, but their appearance can vary quite a bit, depending on coat color and markings. 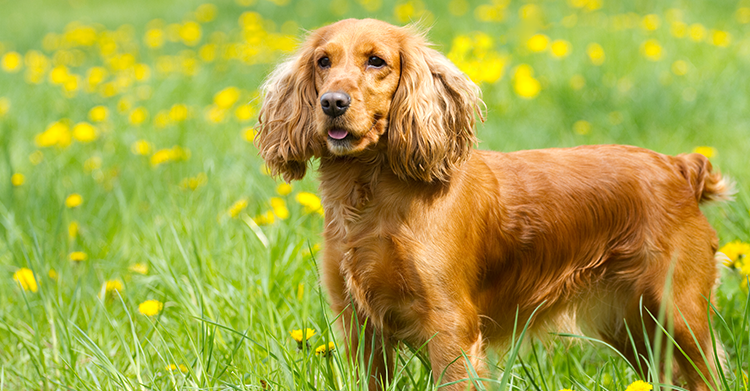 According to the American Kennel Club, the cocker spaniel ranks 30th in the list of the most popular dog breeds in America. These dogs are the smallest of the spaniels and the smallest among all sporting dog breeds, weighing only 24-28 pounds when full grown. Though small, they’re strong! They love to run and are built for speed and endurance. Cocker spaniels are generally a healthy breed and tend to live 12-15 years, depending on how well they are cared for. Cocker spaniels are very sweet, affectionate, and playful. They’re loyal, intelligent, and happy. Because of their gentle nature, however, they typically don’t make very good watchdogs. If you get your cocker spaniel from a reputable breeder, your dog should have a sweet, gentle temperament. Cocker spaniels from a less-than-reputable sources, however, can can potentially become somewhat aggressive. These dogs require a lot of grooming. Take time each day (or at the very least, two to three times per week) to brush your dog. This is a great opportunity for the two of you to bond! Clean your cocker spaniel’s eyes and ears regularly to avoid cataracts and ear infections. You may need to trim back some of the hair under their big floppy ears to help keep them clean! You should also get your dog groomed (hair trimmed and nails clipped) about once every month. Cocker spaniels can live in just about any environment, in the city or out in the country. Just make sure to exercise this athletic pup regularly to work off some of the day’s stored up energy! A daily walk is sufficient. These dogs are very sociable and need companionship, so if you don’t want your dog to stay indoors, then don’t get a cocker spaniel. Train Your Dog with The Dog’s Way! Regardless of what kind of dog you plan on getting or currently have, he will need to be trained! A well trained dog is much easier to live with than a dog who thinks he can do whatever he wants whenever he wants. 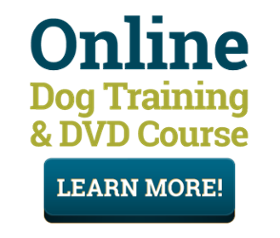 Our online dog video training course can be accessed immediately on your computer or mobile device. If you’re interested in our DVD set, you can place your order to receive The Dog’s Way DVD Training Course in the mail! Contact us if you have any questions about dog training or the course itself. We’d love to hear from you!